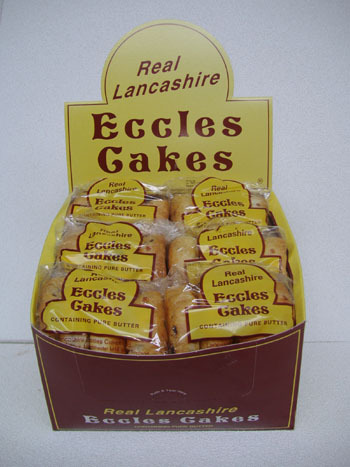 Lancashire Eccles Cakes is a traditional product which is believed to have originated in the town of Eccles. The cake is round and fairly flat in appearance and handmade and consists of a mixture of the finest vostizza currants, rasins, butter and sugar enclosed in a shell of flaky, buttery pastry. Supplied in a counter top display box.